With splashes of colour, animated figures and a clear layout and design, its creators have designed a site welcoming to both young and old. 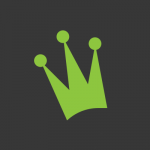 Fairly new on the scene, the casino was started by two Scandinavian entrepreneurs in 2015, it has been receiving positive feedback from players due to its easy-to-use format, fun appearance, good support, and good range of games that pay out as promised. There are weekly bonuses, plenty of games to choose from, and a sense of familiarity with those who run the site. Their main goal is fun, so if that’s what you’re looking for in a casino, take a look to see what you think. 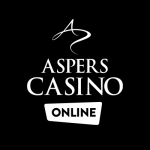 There are over 500 slots games and you can search via a customisable filter for the type of game that you want to play, or let the site suggest one for you. The live casino is a major draw and works like some of the best online casinos out there. You can access the Cashmio casino on either desktop or mobile devices and enjoy fast payouts to boot. Table game fans can enjoy the classics like blackjack, roulette, and table poker. 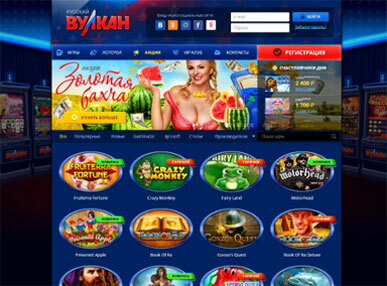 Upon registration, you’ll receive 20 free spins on Aloha Cluster. With your first deposit, you’ll receive 100% on up to €100, plus 50 bonus spins on Warlords: Crystal of Power. There are three daily missions you can compete in to win small but often and loyal members can reap the reward of a weekly bonus. To find and activate many of these bonuses, you’ll be notified of these bonuses in your account inventory. Simply click on a coin graphic which will then transfer you either to the slot game for a free spin or to the deposit page to then make the required deposit for your bonus. In keeping with their theme, they want to make everything as simple, accessible, and fun as possible. The site itself boasts seven different languages and is accessible from a host of different countries, as well as accepting deposits and cashing out in Euros, Pound Sterling, Canadian Dollars, Swedish Kroner, and Norwegian Krone. On top of that, one of the most mentioned pros of the site is its fast, 24 hour payment without fail. You can choose from 12 different payment options, including Visa, Mastercard, Skrill, P24, Instadebit, and iDeal, as well as others. Deposits appear within five minutes, as do bonuses, and the minimum deposit is $20 if you want your welcome bonus. Members are most impressed with the no fees, fast payment, so if you’re looking for fast payment, this is the site. If there’s anything else to mention, it’s the customer service Cashmio Casino offers. The live chat option offers you a space to chat with a member of staff who you can even check out on their ‘About Us’ page, so you don’t feel like you’re just talking to a robot. The service is fast, friendly, and efficient. The opening times cater more towards those in a European time zone, it’s important to note. Overall, a fun and easy to use online games Cashmio Casino for beginners and players of all levels. An attractive design and layout with hundreds of games on offer give you the motivation you need to play, as well as plenty of bonus spins, bonuses, and daily and weekly challenges to take part in.